Sam Laxton's music has reached the ears of thousands of artists and fans worldwide since his emergence in 2012, including support from Trance veterans Paul Van Dyk and Solarstone, BBC's own Huw Stephens, and the global EDM network. Sam's first Trance release "The Rise" released on Solarstone's Pure Trance label, was immediately picked up by the biggest Trance djs in the world including Aly & Fila. Sam Laxton has released on iconic labels such as Bonzai Progressive, Encanta, Veritas Recordings and did remix work for Beyond Belief Recordings and Lost Witness. In this pack you will find a Spire bank with 101 presets, containing: driving acid sounds, rumbling basses, versatile plucks, powerful leads, beautiful pads, striking stabs and moving arpeggios. On top of this, Sam Laxton has created various construction kits complete with MIDI files and beat loops of the deepest kicks, crunchy claps, sizzling rides, driving top-loops and last but not least, a plethora of useful percussions. This pack will tickle your fancy if you create Trance, Progressive House or Psy-Trance ranging from 126 - 138 BPM. 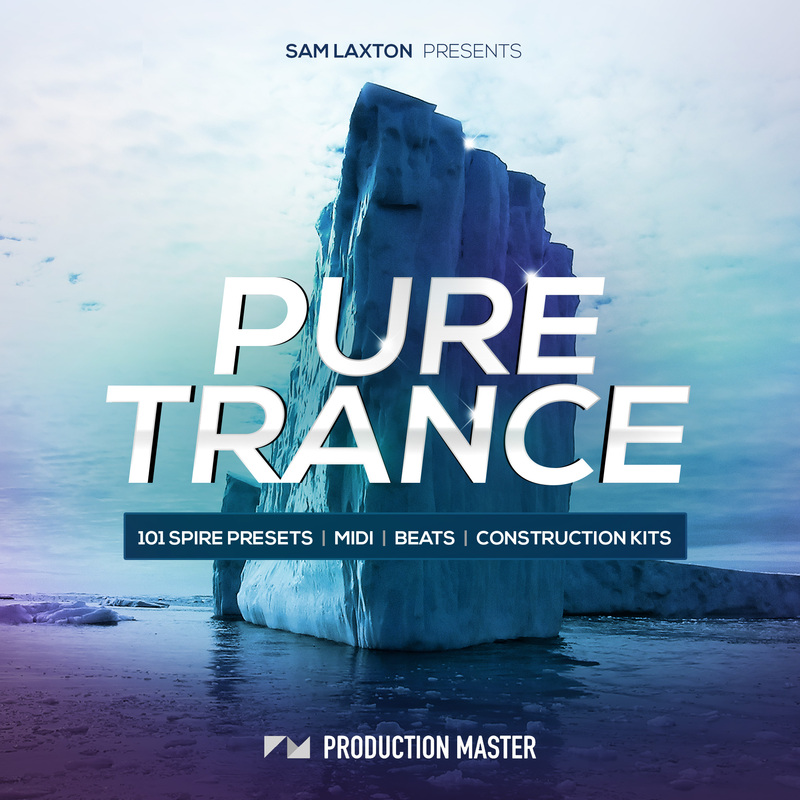 Sam Laxton's "Pure Trance" is inspired by Trance and progressive artists such as Solarstone, Jamie Baggotts, Daniel Kandi, Peter Steele and Robert Nickson and more. Instantly become a Trance veteran of the highest order by creating your own anthemic Trance hits with Sam Laxton's "Pure Trance"!